Hello from Baton Rouge. 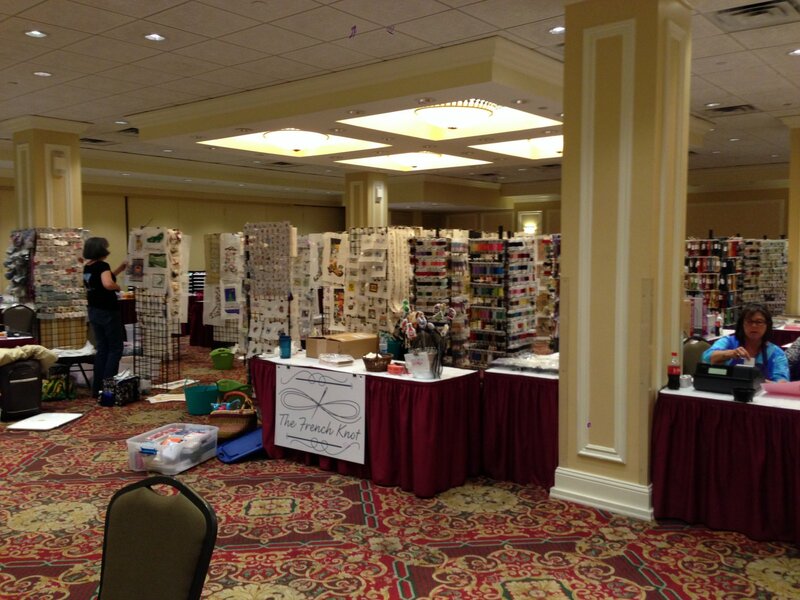 Your favorite needlepoint shop was invited to the South Central Region of the Embroiders’ Guild of America’s 2014 Seminar to be their boutique. So we packed up the needlepoint half of the shop and trucked it over. It’s been an adventure and we will be quite exhausted, I’m sure, when we head back home on Saturday… Hopefully much lighter than before. A very special thank you to Aubrey and Sarah who have been handling the shop while Meg, Leona, Georgie and Deanne have been away. I hope ya’ll have a great trip to Baton Rouge!!!! I’m thinking about you!! Can’t wait til u get back with lots of new stuff!hope u have a safe trip home! See ya later. We are so excited that y’all are in BR! Thank You, Thank You, Thank You!!! 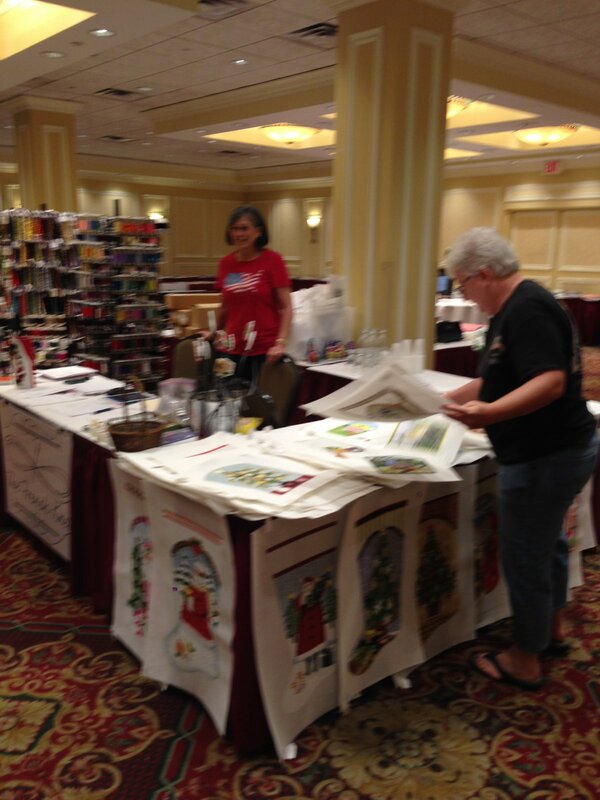 The French Knot boutique at the SCR 2014 Seminar was the BEST EVER!!! 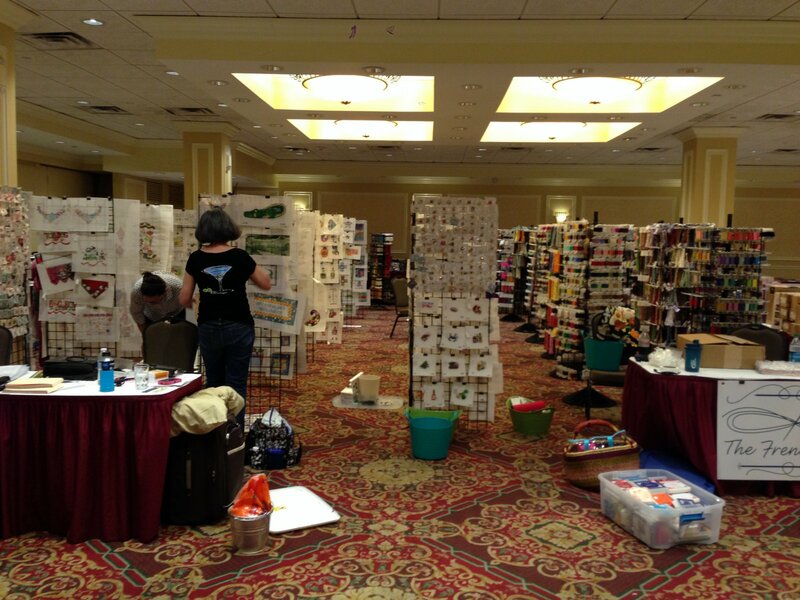 Everyone enjoyed their shopping experience and we heard nothing but compliments about how helpful & knowledgeable Meg, Leona, Georgie and Deanne were to our attendees!!! And, ya’ll are lots of fun, thanks again!!! Thank you so much for your kind words. We had a great time meeting so many new friends. 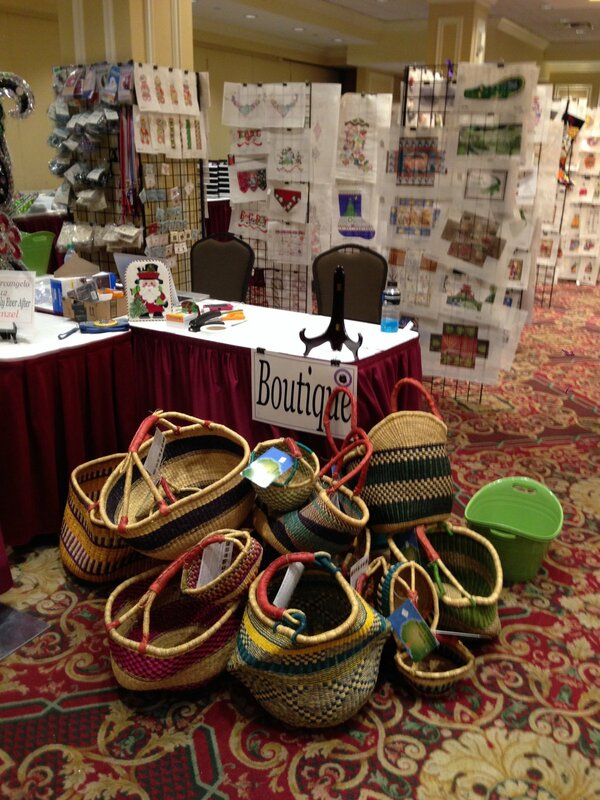 Can’t thank you enough for such a wonderful boutique at SCR 2014 Seminar , “Stitching Gumbo” in BR! Your shop was beautiful & we got lots of praise! Coming to Bay St Louis will stop in to see you on Saturday!